Let’s just say it! 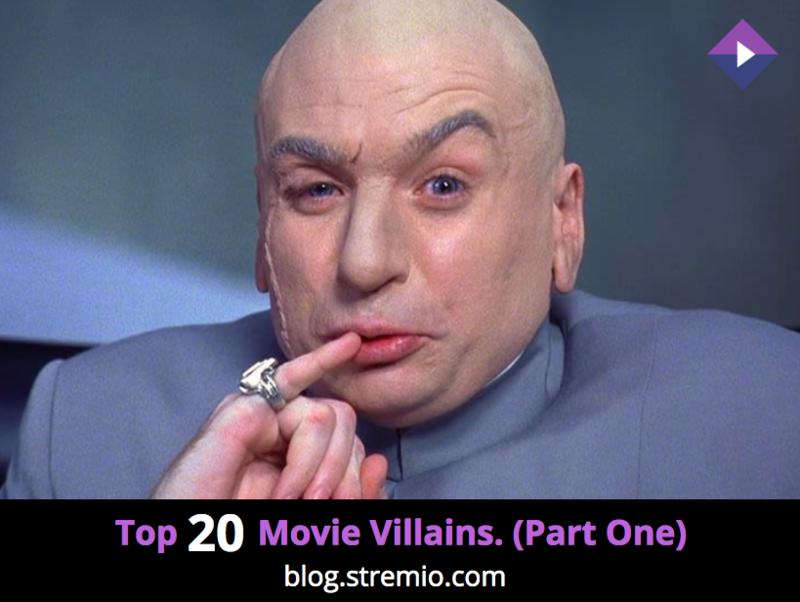 To have a great film you got to have a great villain! Right? We can all agree on that. No matter how great the main character is, it’s the bad guy that makes him stand up and show what he is made of. The villains represent the dark side we all have inside, so maybe that’s why we love them so much. 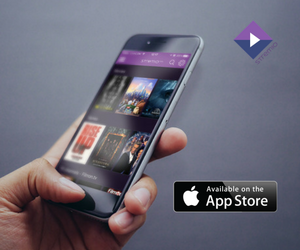 Masterminds who want to rule the world, or to destroy it, psychopaths, killers, secret organizations…you name it! 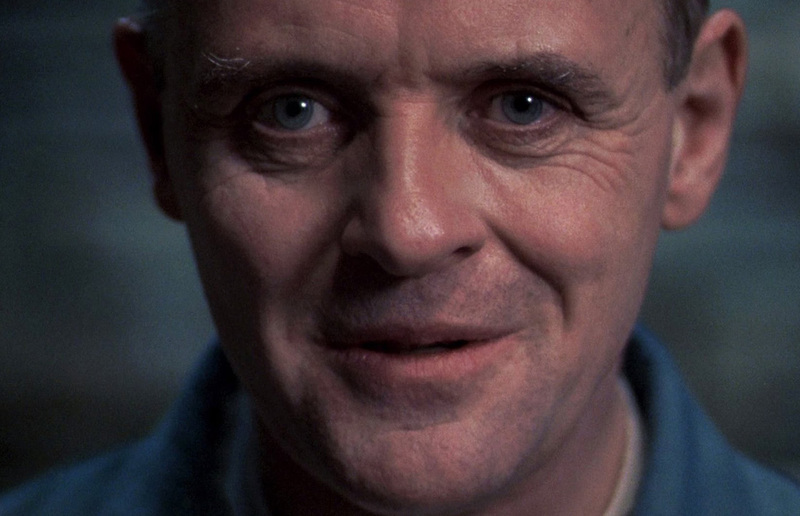 Since the very beginning of the cinema, having a memorable villain was an absolute must for creating a proper suspense and drama in the film. This also reflects on life itself – the good and the bad part of it, the light and the darkness. Not to mention that sometimes the villains can be even more memorable and likable than the main characters. We know a lot of examples out there, but we’re not gonna spoil the fun for you! Famous quote: “Oh, yes, there will be blood”. Roughly speaking, he is not a murderer at all. He never killed a man with his own hands. Kramer only creates situations that can lead to death, and, unlike all the other villains, he always gives people a chance to survive. His goal is not murder, but instruction. He seeks not to take the persons life, but to change his attitude towards it. He is an old man, dying of cancer. Kramer dreams of the lives his victims have, and he is annoyed that they do not appreciate what they got. They don’t appreciate their health, their families, the lives of others. In some ways, Kramer unites many villains. His motives have remained unknown for a long time, and his actions have spawned a large number of imitators, and he does not kill random people, but carefully selects them. 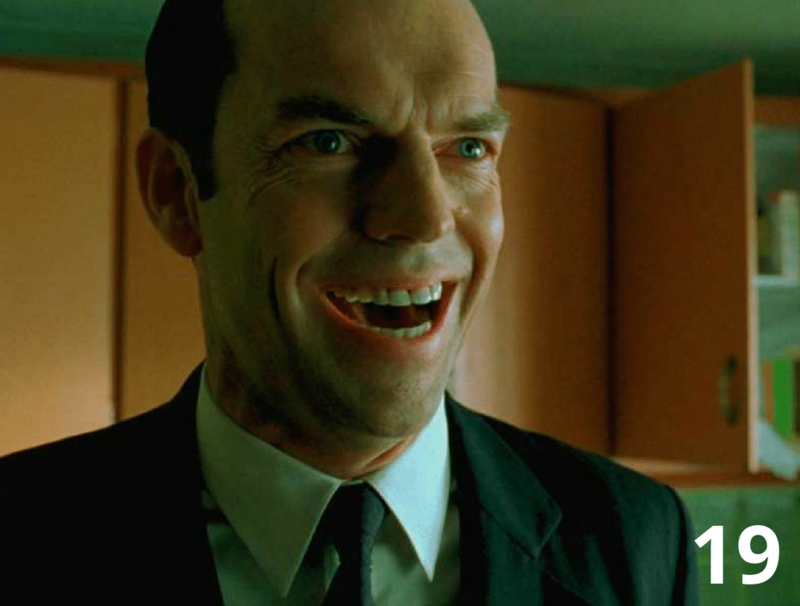 Existing first as part of a program of a system regulation, and then becoming an independent person, Agent Smith is the embodiment of an intelligent and methodical organism that distorts reality and subordinates it to itself. He possesses superhuman abilities in the field of martial arts and is endowed with a unique charisma. He has a clear mission – to protect the system from violators, viruses, which, in his opinion, are the humans. The mercenary without a drop of compassion, straightening out with everyone using a cattle gun. This murderer is a loner. 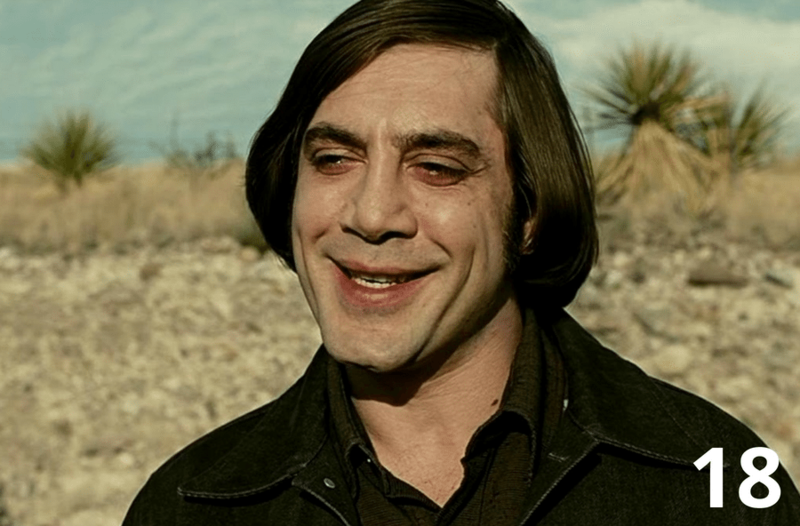 If the other villains have a character who opposes them, then Chigurh does not have one. He can only be stopped by fate. Most of his victims have no chance of salvation, despite Anton playing a coin tossing game, the outcome is death. Silent, possessed killer without hesitation and fear. Famous Quote: “No one cares for me until I put on the mask”. Bane is one of the many gorgeous villains created by Chris Nolan for his Bat-trilogy. Hard, complex, intelligent and ruthless. And besides – perfectly played by Tom Hardy. 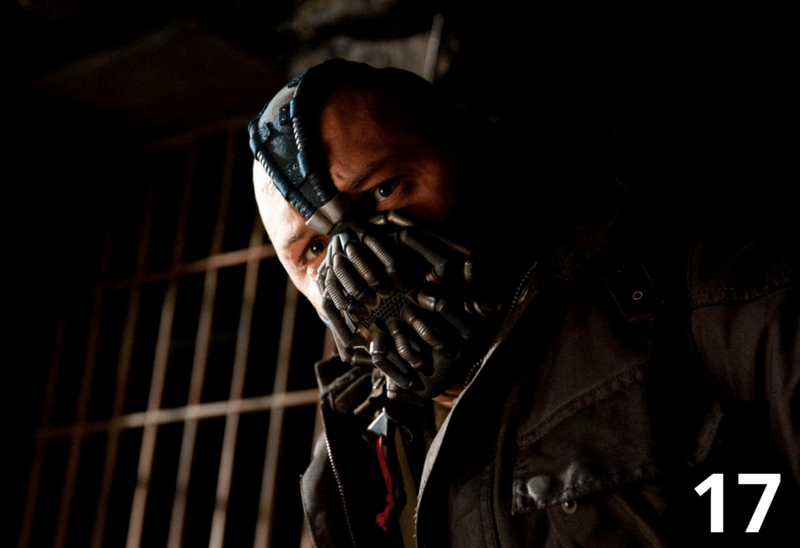 His unique voice, presence and evil charisma – what can we say, you just remember Bane! 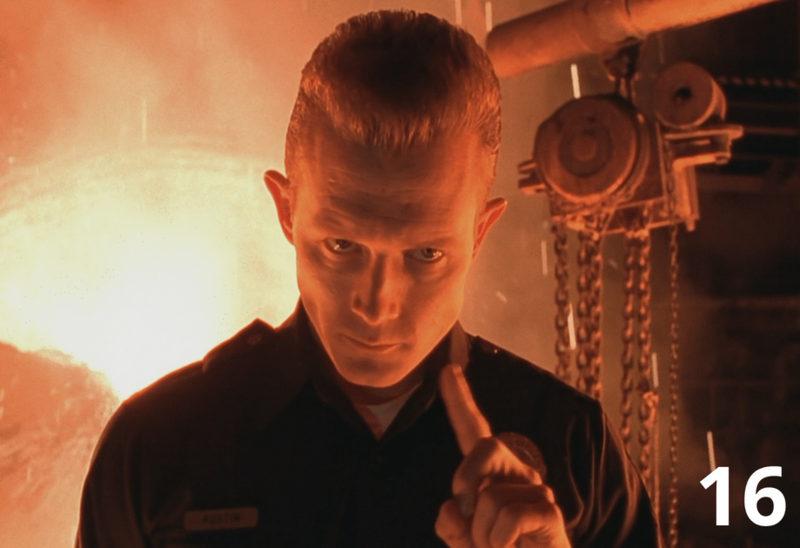 T-1000 is a creepy robot, even creepier than Schwarzenegger himself from the first part. Such a feeling is created due to mimicry: T-1000 is almost human. In the first part, the Terminator was clearly a machine incapable of any emotion. But the T-1000 knows how to be friendly, knows how to disguise as a different person so that you can’t tell. But during the action scenes, all humanity disappears and the robot-killer reveals its true essence. Robert Patrick played these metamorphoses just superb. And his cold, expressionless face will remain with everyone who has watched Terminator 2. 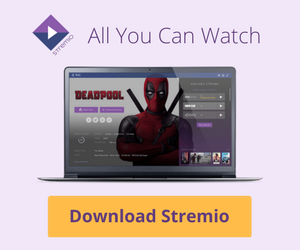 Famous Quote – “We all go a little mad sometimes”. The beginning of the sixties produced a movie masterpiece, which became a classic thriller and had one of the most terrible villains of the twentieth century. Hitchcock’s movie “Psycho” struck the audience and forever remained in our minds, as a standard of the genre of thriller and horror. 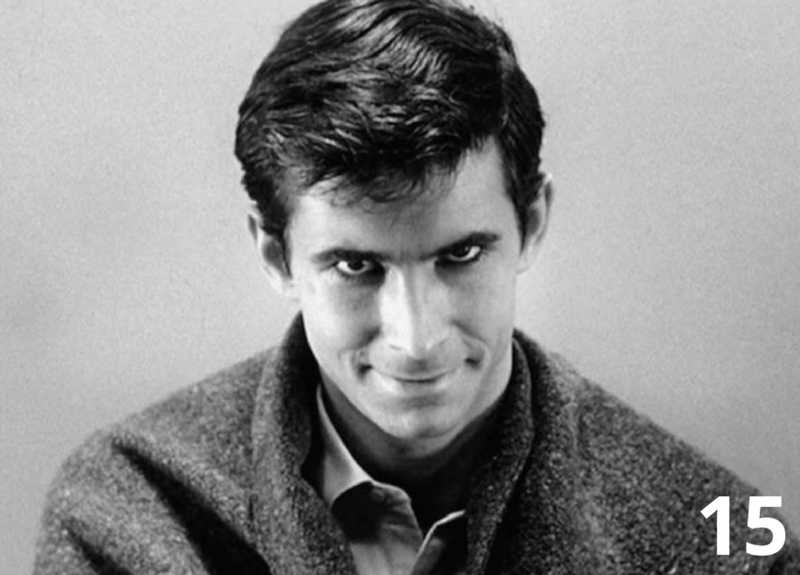 Even today, the main villain Norman Bates frightens the viewers with his perverted mind. He is one of the best because he is one of the first. Whats even more terrifying, the character of Bates was based on the real-life killer Ed Gein. 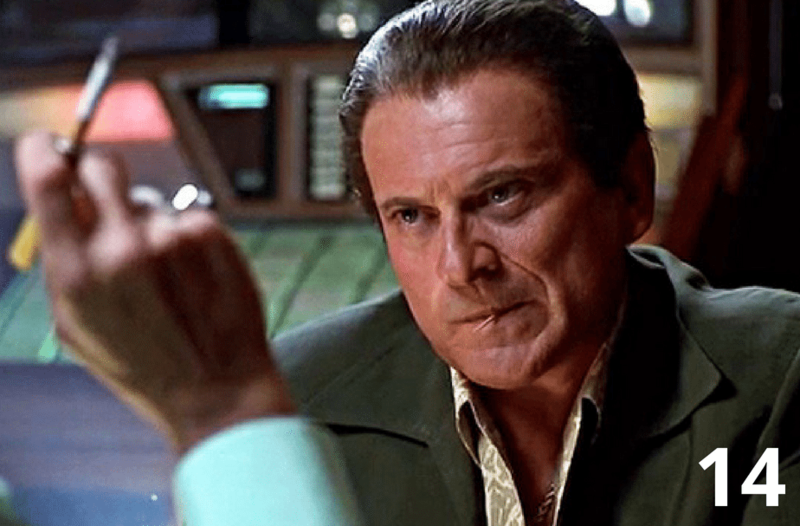 Joe Pesci’s character is a thug, a robber, and a brutal killer. Nicky Santoro was a childhood friend of Sam Rothstein (the main character of the film, an expert on the organization of the casino). He worked for the mafia. Despite his small growth, Nicky is a very dangerous man who was very good at breaking debts, intimidating businessmen and killing. He is an unpredictable egomaniac who is will do anything to get the job done! One of the cultic villains of the golden age of American cinema. 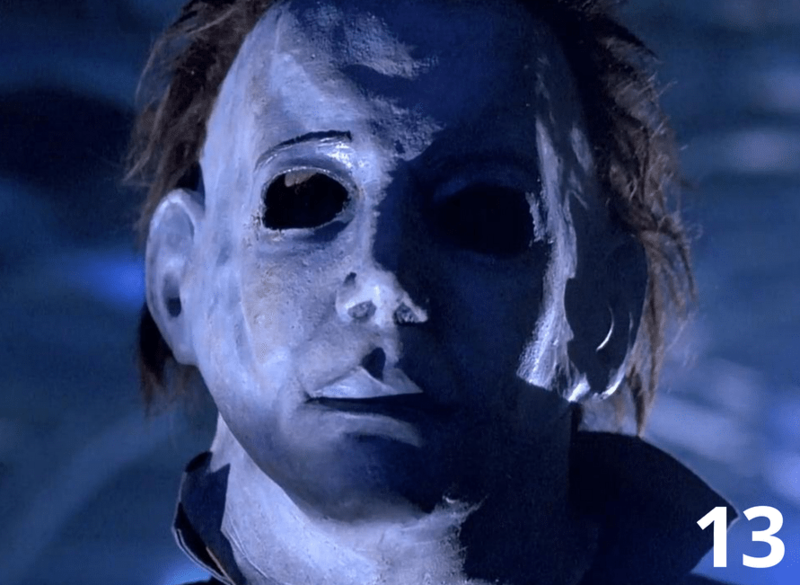 Michael Myers is a psychopath, a serial killer. He is known for his cruelty and the huge number of victims. Your blood freezes when you see him and there is a good reason for that. But not all the fans of the film know the origin of his creepy mask. It turns out that the actor Nick Castle is wearing a comic mask of the face of William Shatner (Captain Kirk, Star Trek). A policeman, withered to the very ears of corruption, drug addiction, and other abominations. Killer of children. A real psycho: crazy, disgusting, unprincipled, cunning. He is one of the key elements of the famous Luc Besson film, the connecting character between Leon and Matilda. 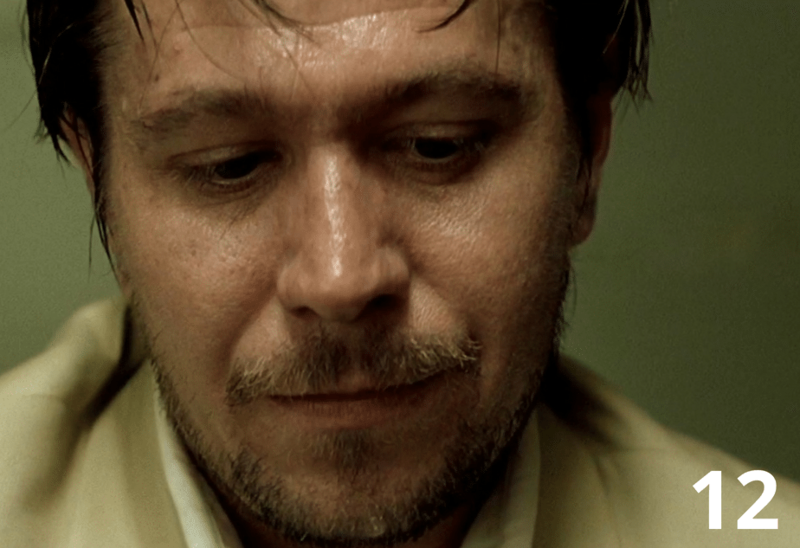 Gary Oldman brings such passion to the role that is almost impossible not to hate Norman Stansfield by the end of the movie! 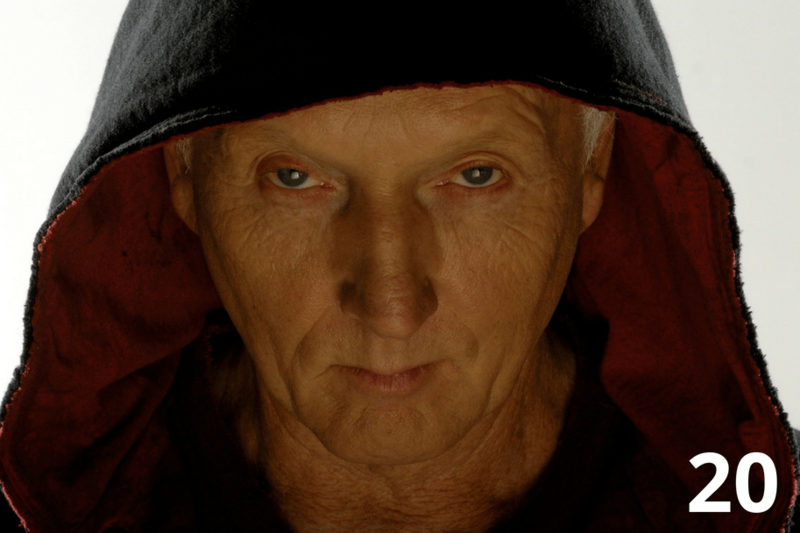 Serial killer John Doe – one of the best antagonists, a brutal psychopath with a cause. 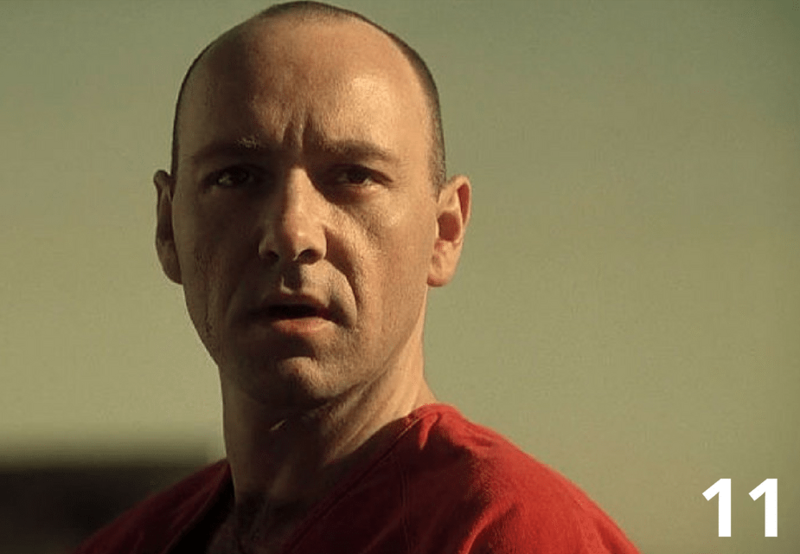 Kevin Spacey appears in the film “Seven” only at the end but manages to make a breathtaking impression. Simply amazing performance, nothing more to say. We’ve hope you enjoyed our list so far! Stay tuned for the second part of our countdown where things are going to get really rough!